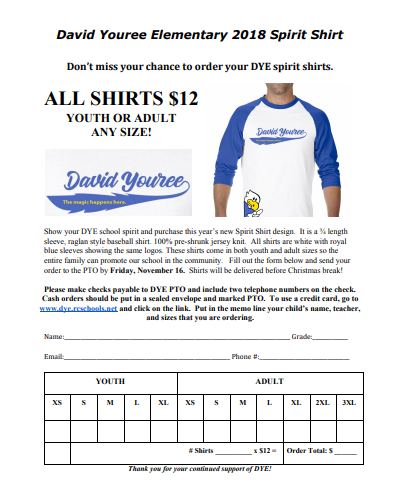 Select your shirt size, youth and/or adult. Fill in the Student/Teacher Name. Click add to Cart button to check out. Thanks for supporting DYE PTO.